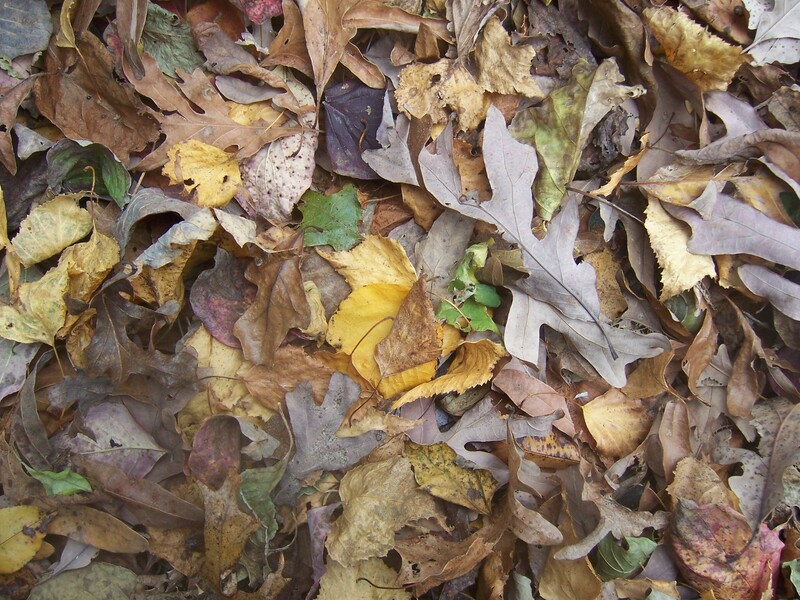 As October comes to a close, an early nor’easter has turned fall into FALL. 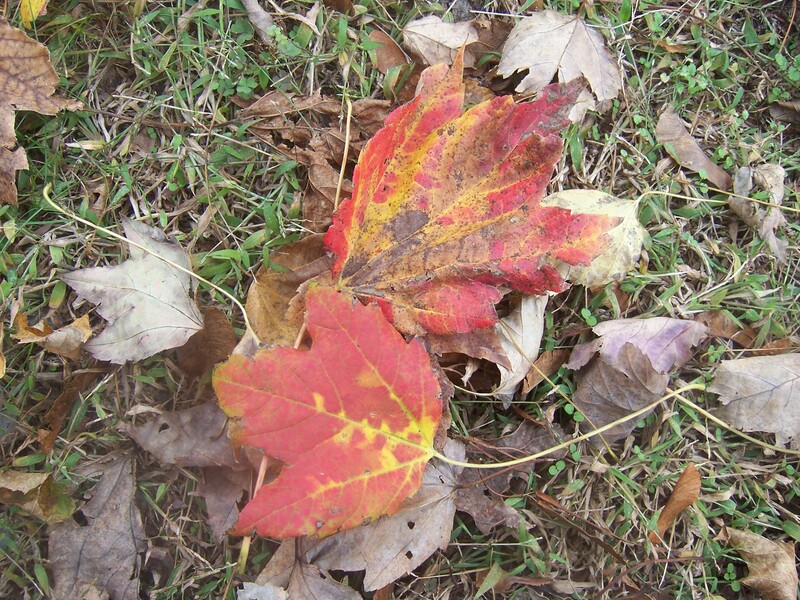 As rain pours down, as snow blankets us with a slushy mush, as ice pellets sting our face, and as howling wind tears the leaves from their branches, here a few photos of the colors, the debris, and the faded glory of autumn. 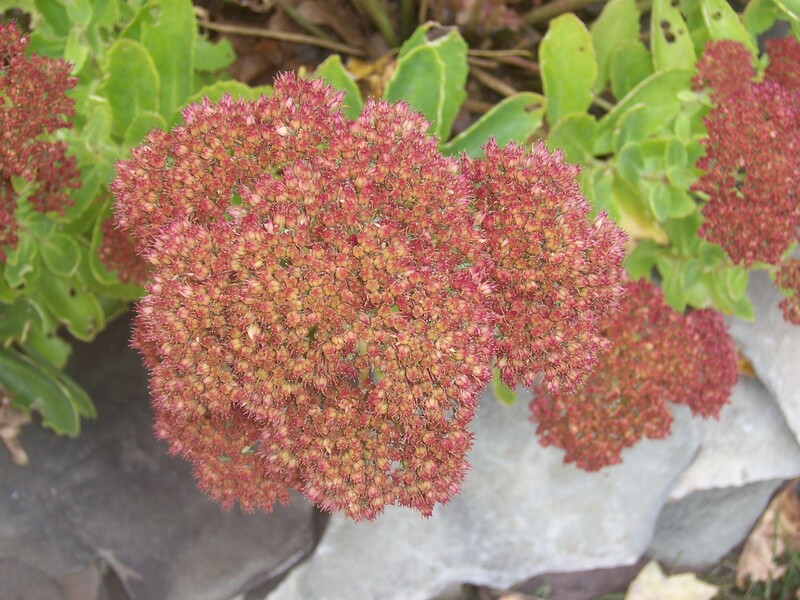 The pink of Autumn Joy has aged and deepened to a dark, dusty rose. 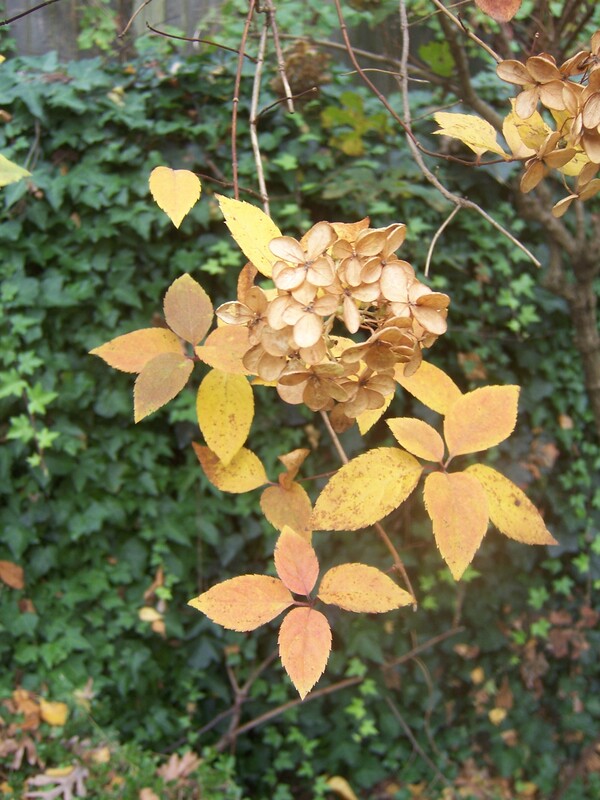 Pee Gee Hydrangea is now parchment-colored. This bee is probably wishing it had a blanket as it naps on Blanket Flower. The Maple is on fire. I'm not sure of the name of this plant, but the leaves are a bright spot in the garden -- until the temperatures really drop an the leaves droop. But with warmth, they rebound. 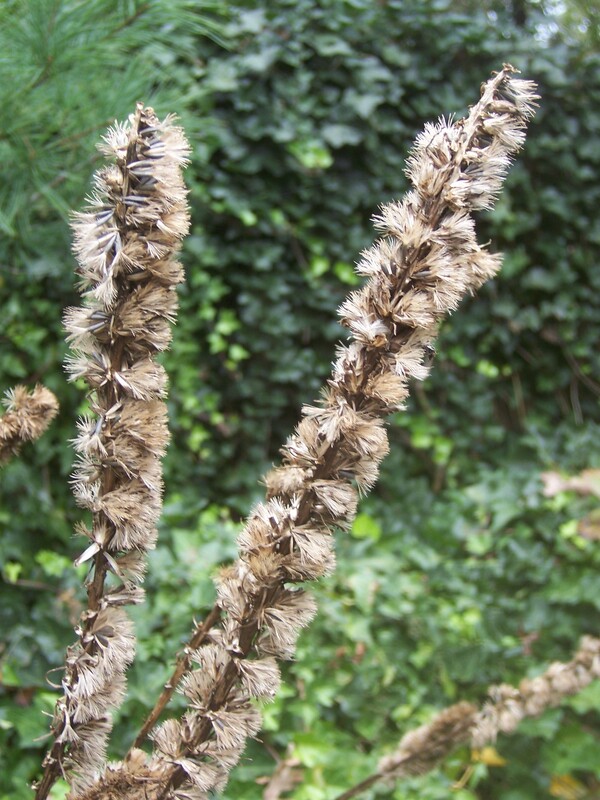 Liatris "punks" have turned from purple to brown. Mums and Black Mondo Grass. 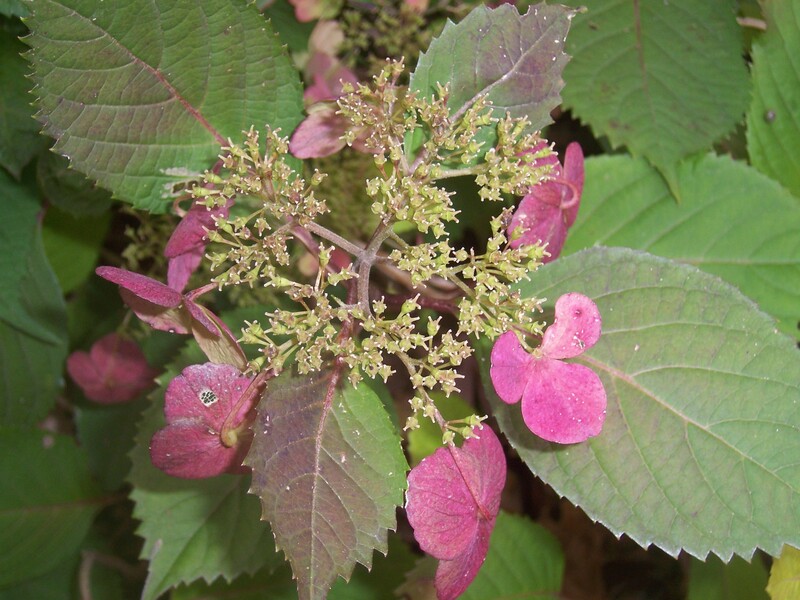 Lacecap Hydrangea is a shadow of its summer color. Maple leaves nestled against a stone wall. 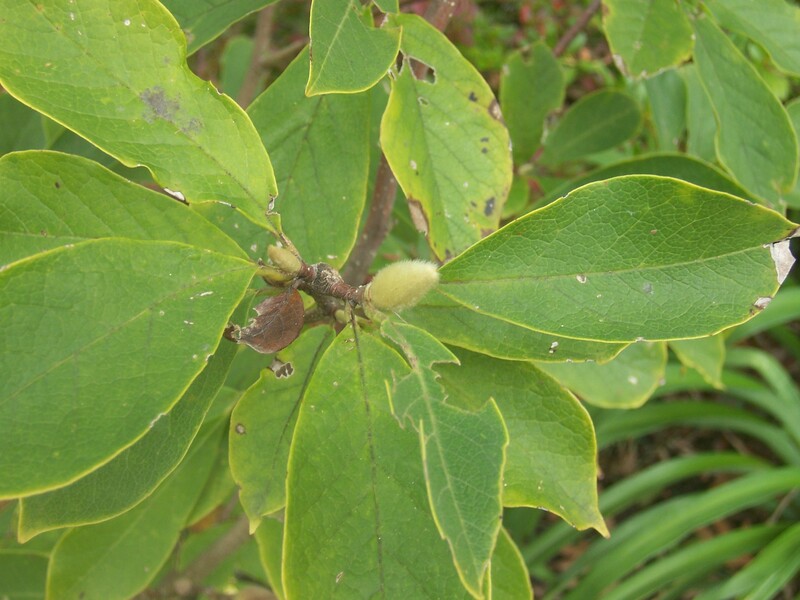 The buds for next spring's blooms are set on the northern growing Magnolia. Something to look forward to! Kevin, cute title. 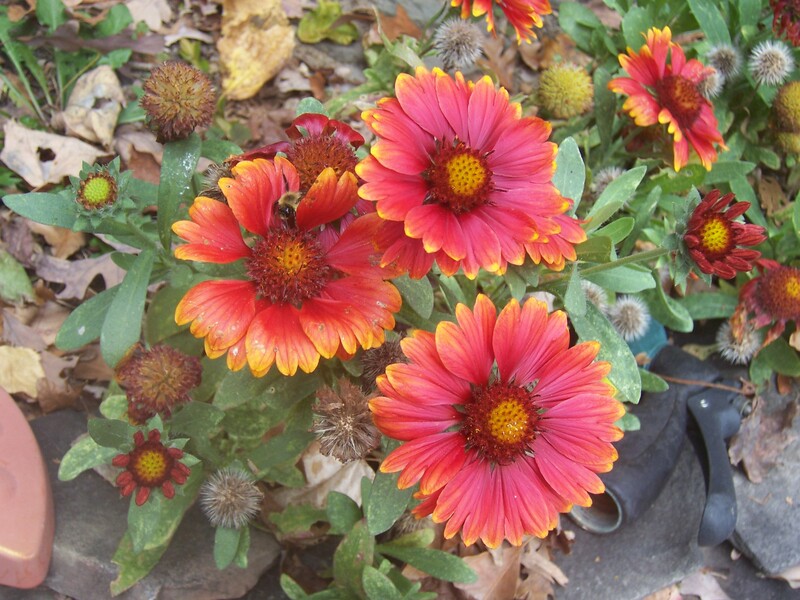 I too posted my fall blooms for the end of the month. It is surprising how much there actually was blooming considering the weather. It is surprising — but after today’s storm, I’m glad I had the chance to capture them. Be well! This time of year has it’s own powerful beauty. I love it. Hi Erin. 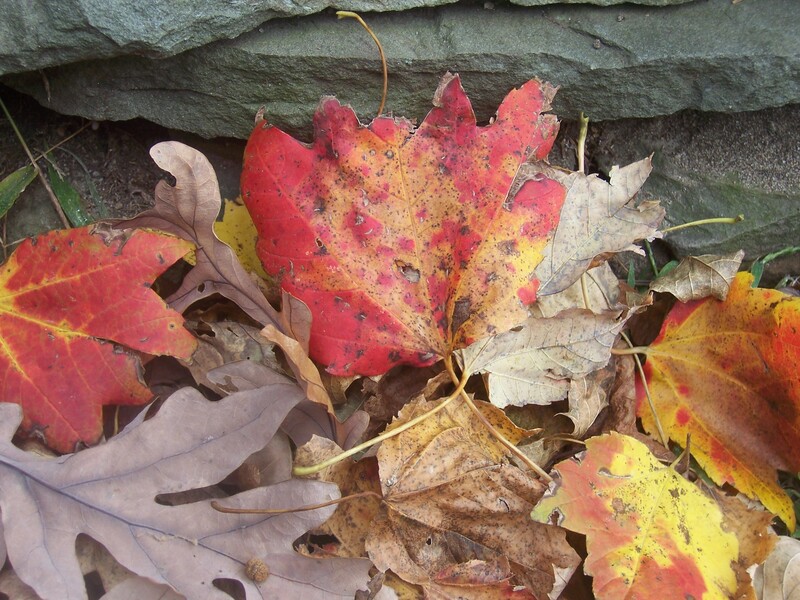 There is something very dramatic about autumn — the color, the wild swings in weather, the preparations for hibernation. 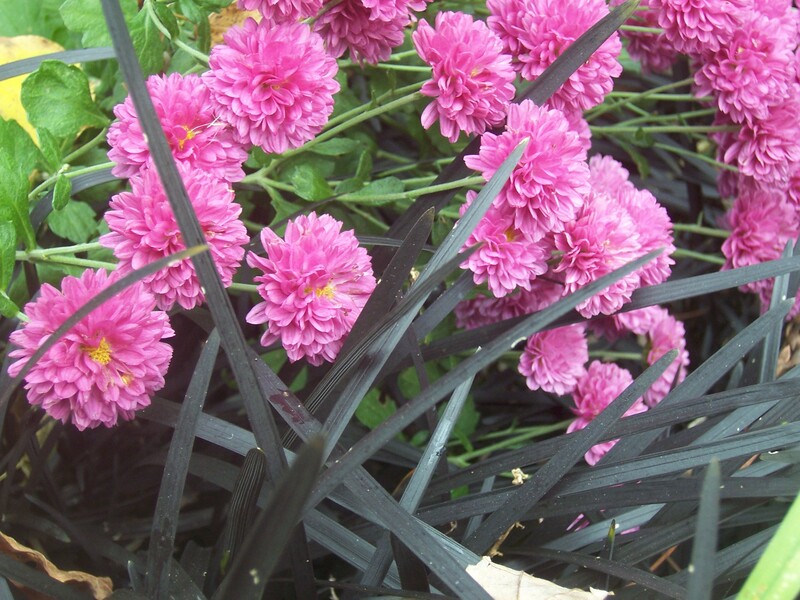 Love those pink mums with the black mondo grass – very dramatic! Stay warm! Thank you. I never really noticed the drama until I decided to take the picture. It’s funny, but this blogging thing has forced me to see the garden in a whole new light. Hey, I just wanted to compliment you on the combo of the black mondo grass and the mums. I might have to steal that pairing from you if you don’t mind. Autumn has so much beauty even in the crispy parts. You have captured so much of that beauty in these lovely photos. Thank you so much for your kind words. Hope you’re enjoying the fall weather in your part of the globe. Great job combining the mums and the black mondo grass. At first glance I thought it was one plant and thought, where can I get that?! I’m glad you enjoyed the fall photos — at this time of year, I’m running out of reasons to do “Bloomin’ Updates.” But, I’m sure with imagination. . .
Lovely series of photos Kevin. Your “fall seems to be a lot colder than our autumn (14C) today. Positively balmy. As for the acuba, spotted laurel as it is commonly known. Yawn, boring plant. Used for a lot of municipal planting in this part of the world. The plain green laurel is equally bad. their only saving grace is the flower which is small white and delicate. Enough said.. This fall has been unusually cold for us. Just last weekend there was a massive snowstorm north of my location. It resulted in very heavy snow and lots of power outages as trees, still sporting their fall foliage, came crashing down from the weight. 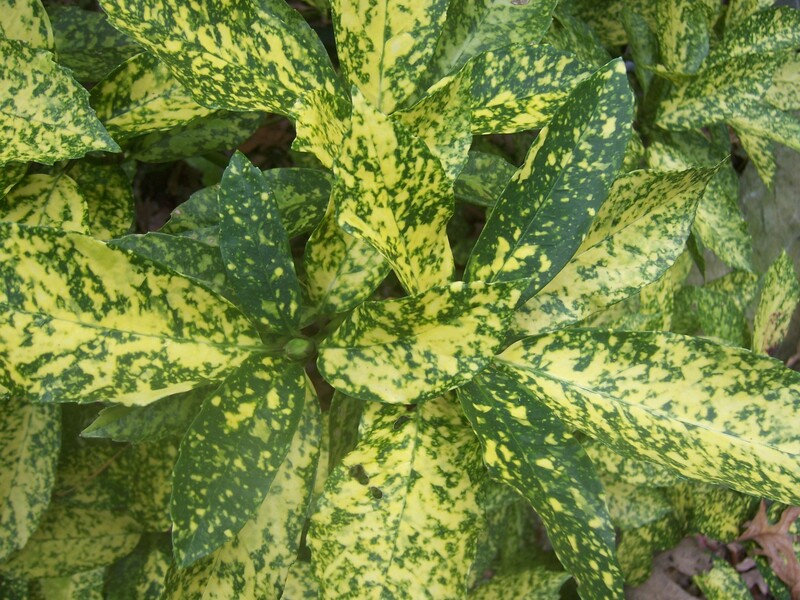 As for the Acuba, I see your point, but its variegated leaves are a bright spot when everything else is turning brown — and that’s the kind of boring I like. Stay warm!